So imagine our delight when we caught the news that for the second time, a Cambodian startup was one of the select 12 chosen out of 450 applicants from over 40 countries to join Startupbootcamp Fintech’s Singapore programme. Teams were chosen by a panel of industry experts and representatives from program partners such as leading banks and VCs, so to be picked for this prestigious programme is as good as a validation of the potential of a startup. The 2017 cohort of Startupbootcamp FinTech. “The diversity and quality of applications to our 2017 program blew us away. 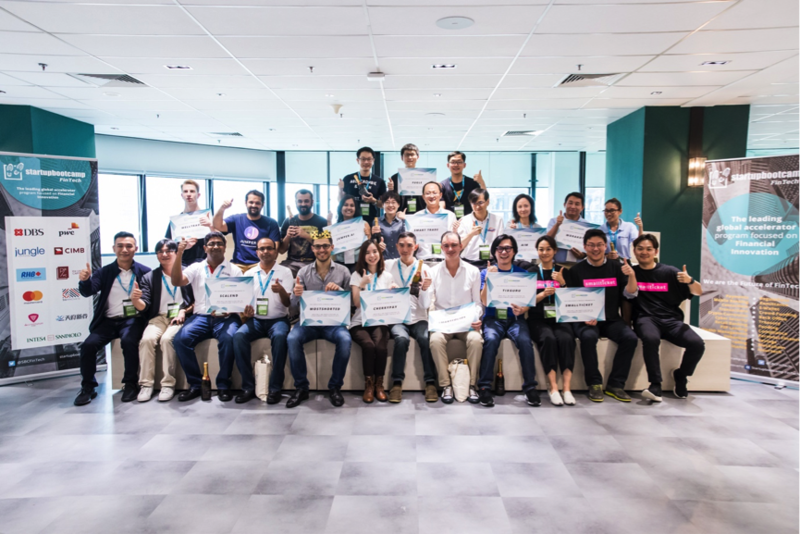 This year we received more applications than ever before, and the fact that so many came from outside of Singapore demonstrates both the strength and significant reach of the Startupbootcamp accelerator. Encouragingly, there were some very strong FinTech applications from emerging cities that may not typically be considered FinTech powerhouses in the region,” expressed Samuel Hall, Program Director at Startupbootcamp FinTech. Last year, BanhJi, a free and localised accounting platform for SMEs to meet industry specific needs, was the first Cambodian among the 10 international teams selected. This year, it is Morakot Technology that was given this rare opportunity. Founded in 2014, Morakot Technology provides a software that acts as a simple and reliable alternative core-banking system for microfinance institutions and banks. This software, Morakot VB, was developed based on the founders’ experiences with established international software that were effective, but were simply too expensive and complicated for smaller institutions. To combat that, Morakot VB aims to achieve simplicity that does not limit performance. As such, the software requires no installation and having it cloud-based extinguishes the need for expensive server infrastructure. In addition, it also provides clients with a range of features from accounting, reporting to customer management. Without a doubt, on its own, the startup’s innovative software would make a mark in the Kingdom’s FinTech scene. But when under the extensive mentorship from over 400 entrepreneurs, investors and corporate partners in Startupbootcamp 2017, it would definitely be further accelerated and improved. The mentorship, which begins on 10th April, will help guide each startup through the ‘Shape’, ‘Build’ and ‘Sell’ stages of development and scaling across Southeast Asia. A series of masterclasses on topics ranging from lean to legal are offered to the companies, along with focused partner days built around leadership strategy, sales and positioning for investment. Each team will also receive $25,000 Singapore dollars and six months of free office space at the world’s largest FinTech hub, Lattice80. Furthermore, the programme’s partnerships with various big-name companies such as MasterCard, DBS and SGInnovate, present finalists the rare access to potential pilot customers, industry data, connectivity and capital. Neal Cross, Chief Innovation Officer at DBS Bank, feels that such partnership opportunities presented by Startupbootcamp FinTech are necessary to enhance the fintech scene. This acceleration programme will span over 3 months and culminate in a Demo Day, slated for 5th July, where the selected 12 teams will be invited to present their improved innovations to the grand audience of over 500 investors, mentors and partners. We are excited to see what awaits Morakot Technology in this intensive acceleration programme. We are certain that no matter the outcome, the company would have received a wealth of experience that will bring their innovation to greater heights. 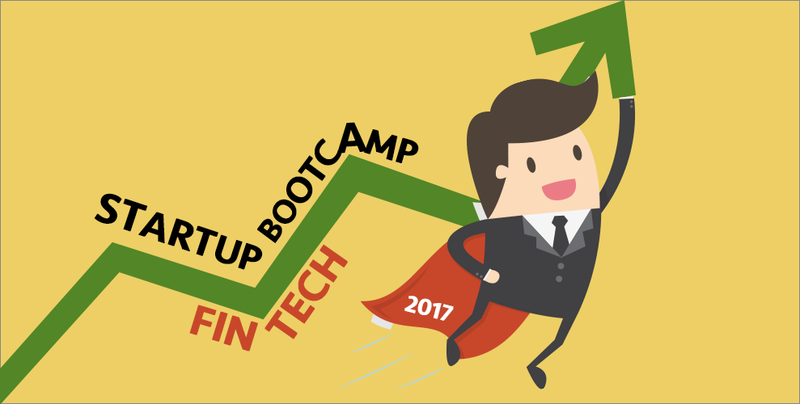 For more information about Startupbootcamp FinTech 2017, please visit their website. We would also like to congratulate the other 11 eleven teams picked for Startupbootcamp 2017! Jumper.ai (India) The fastest way to buy, sell and collect payments everywhere within one unified AI interface. ScalendTechnologies (India) Securely integrate data from different sources, take decisions, get insights, and focus on actively acquiring and engaging with customers in real time. Fugle (Taiwan) The best digital brokerage firm for self-directed investors. MostShorted.com (United Kingdom) Collecting, aggregating & providing data on hedge fund and activist shorts to improve decision making. Smart Trade (Japan) Smart Trade is a trading platform that offers a web & mobile interface to develop, use and share AI algorithms. Tixguru (Taiwan) Brings the best trading experience to you by offering a quant platform & AI Robot advisor. Welltrado (Lithuania) P2P lending metasearch engine, an innovative alternative investment marketplace. Small Ticket (South Korea) Remodeling the distribution channel in providing insurance products via its own P2P insurance service platform, based on connected groups and controlled risks. CherryPay (Taiwan) Faster, cheaper and more convenient international P2P money transfer matching platform. AIM (South Korea) Automated Investment Service, a mobile-first robo advisor that helps retail users manage their wealth. SmartFolios (Singapore) Online advisory and investment platform empowering investors to meet their investment goals.